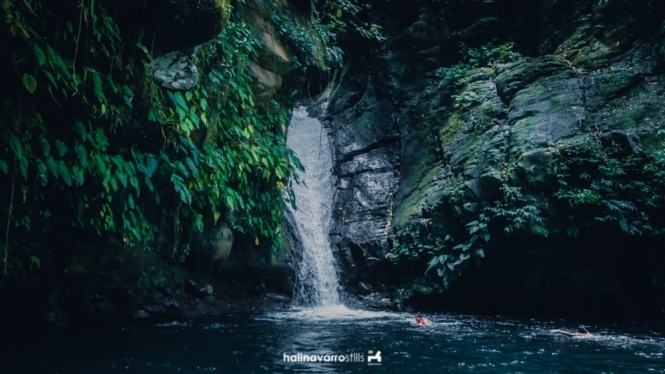 Fun fact: It is a small province, but you can find a total of 30 waterfalls in Biliran. Only several of them are visited by tourists, and you can see most in a single day. I think this means that the rest are either too small or undeveloped. The most famous waterfalls in Biliran are Tinago Falls in Caibiran and Ulan-Ulan Falls in Almeria. I’m not a waterfalls person to be honest. I’m not into long treks or cool water. Instead, I prefer hot springs and beaches. Hali is though, and he was happy with our day tour here. Anyway, without further ado, here’s our waterfalls we’ve managed to see in Biliran in one day! Ulan-Ulan Falls is the most beautiful waterfalls I’ve seen. It might be comparable in aesthetics to Tinago Falls in Iligan, although I haven’t been to the latter yet. Ulan-Ulan Falls is bigger than what it looks here. What sets Ulan-Ulan Falls apart from other waterfalls in the country is that it has remained undeveloped. No part of the trail or the basin has been changed. Normally what LGUs do is create a man-made pool to replace the natural basin of waterfalls, like that in Tumalog Falls in Cebu. A man-made pool is better for swimming, better for tourism. But natural beauty is still incomparable. 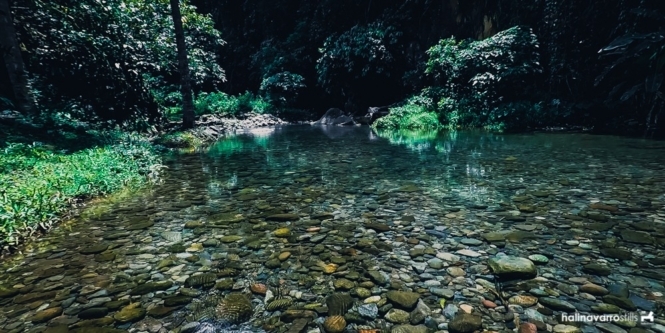 When you look at it from afar, it looks like a summer wonderland… high cascade of water surrounded by greenery, in a place so quiet the only thing you can hear is the rush of the water. 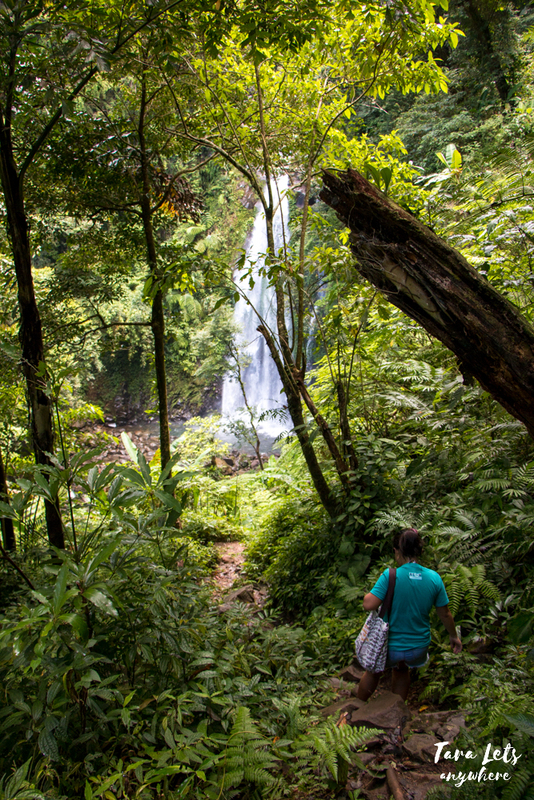 Ulan-Ulan can be reached by about 30 minutes of trekking from the jump-off point. Recoletos Falls is located above Ulan-Ulan Falls. I wonder why it’s considered another waterfall because it seems to me that both are part of a single waterfall system. This falls has a wider, dark-green basin. People can cliff dive from the tree besides the falls. We were initially reluctant to visit Pondol Falls because Hali has read of roaming thieves in the area, but since it’s near we decided to give it a go. There were small kids and families having a picnic when we arrived. Pondol Falls looks small in photos, but it’s really about medium height. Hali and I both liked it better for swimming. The pool at the bottom of Pondol Falls is wide, and water seems to be cooler, fresher. Families would sink bottles of soft drinks in the water to cool. Pondol Falls is about 15-20 minutes from the registration area for Ulan-Ulan and Recoletos Falls. We passed by the better part of Iyusan rice terraces on the way here. It takes another 15 minutes of walking to reach the main stream. 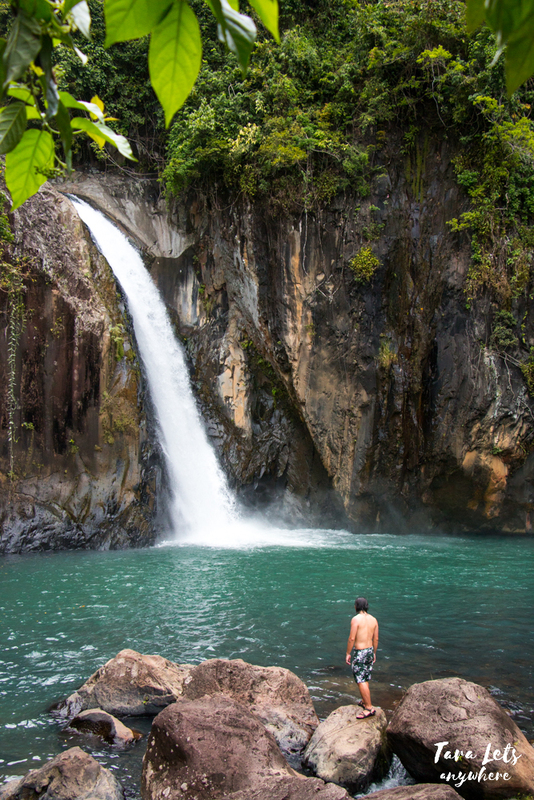 Tinago Falls isn’t hidden as its name suggests. Maybe at some point it was, but today “tinago” is a misnomer. Of the waterfalls we’d visited that day, it’s the most developed. But not in a bad way. 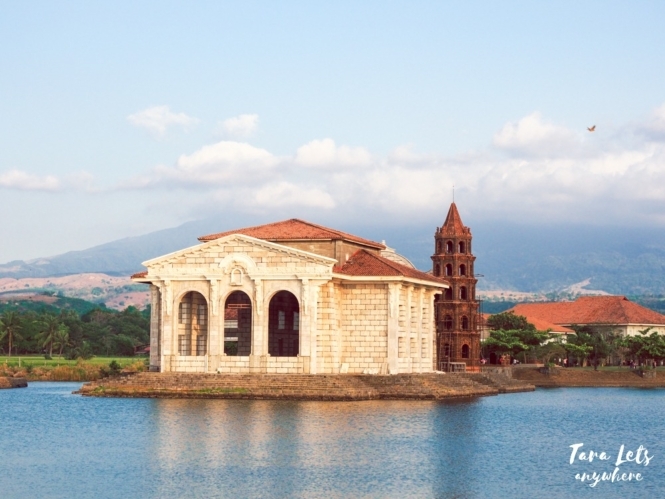 Thankfully, the LGU has spared the main drop from any developments. There’s a proper set of stairs to Tinago Falls and a shed has been constructed beside the bottom pools. There were other groups of tourists when we arrived, but few actually swam in the main basin of Tinago Falls because of the strong current and huge boulders. It’s easy to get swept away. All in all, it’s one of the better-managed waterfalls in the country. 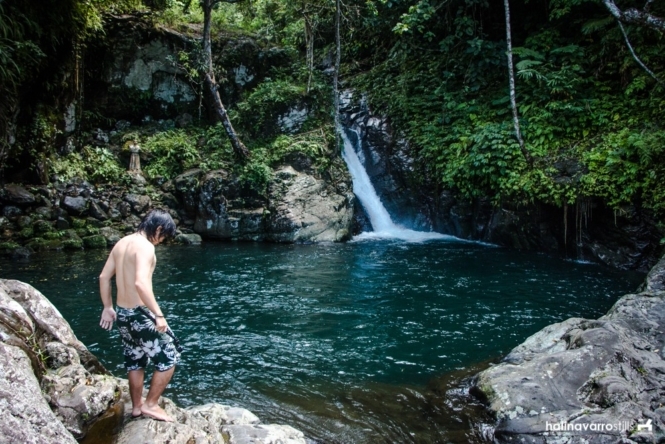 Some tourists only spend a few hours in Biliran so they have limited time to explore the waterfalls. As other bloggers would recommend, it’s best to allot a whole single day to see the best waterfalls in Biliran. You can also visit Mainit Hotspring. We skipped this one because a local we’d talked with said it has become dirty and neglected and similar reviews from TripAdvisor say the same thing. 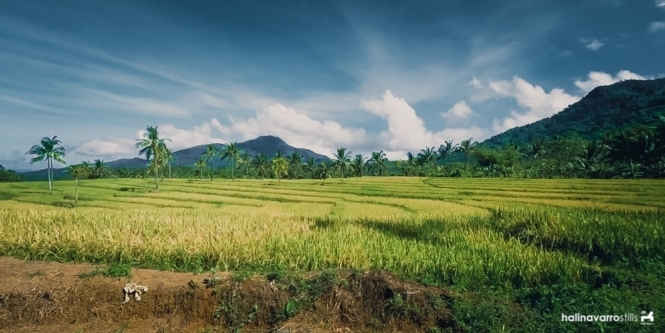 There are lots of habal-habal drivers in Biliran who can tour you to see the waterfalls. I highly suggest contacting a reliable guide beforehand or at least familiarize yourself for the usual rates so you won’t get duped. If you’re booked in a resort or inn, you can also ask for recommendation there. There isn’t any standard rate for the habal-habal tour. Rates can range anything from P500 to P800. As for us, we paid P1000. We also talked to another driver who quoted P1000-2000. I haven’t heard of anyone who actually paid beyond P1000, so be careful that your guide isn’t overcharging you. Hi! Thank you for this guide! I was wondering how much of the day was consumed when you guys visited these falls? We started at 9AM and were back at the resort at around 5PM, I think. We were staying in Talahid and it’s about 30 minutes from the town proper, but it’s close to Ulan-Ulan and Recoletos Falls. That is Sampao River! 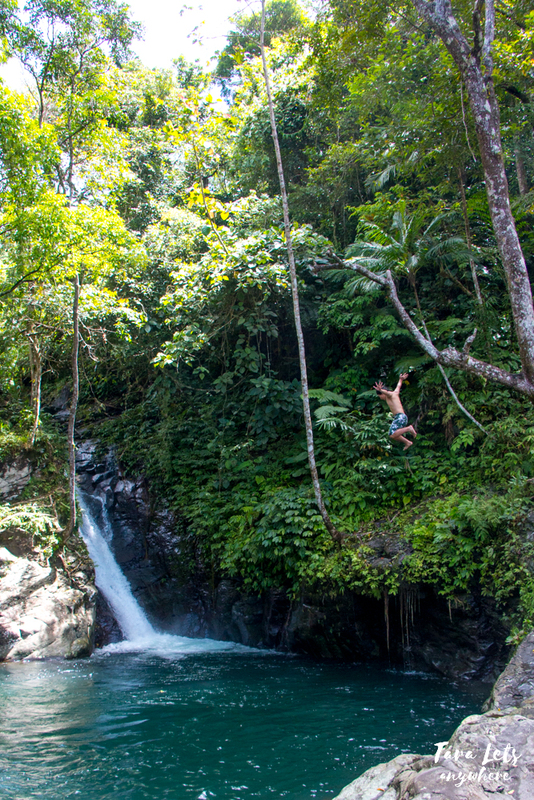 We rappelled down those waterfalls during our canyoning experience. And yes, the water is quite chilly! hehehe! Waterfalls is one of the most magical and enchanting nature gift for me. They’re too lovely and astonishing… i only visited two falls in my entire life. One in Ilocos and one here in Batangas. These falls around Biliran are so beautiful and i wanted to visit them someday. They are superb! Really! I love waterfalls too. But I can only swim if the water isn’t too cold. Thank you for the tips and showcasing those. 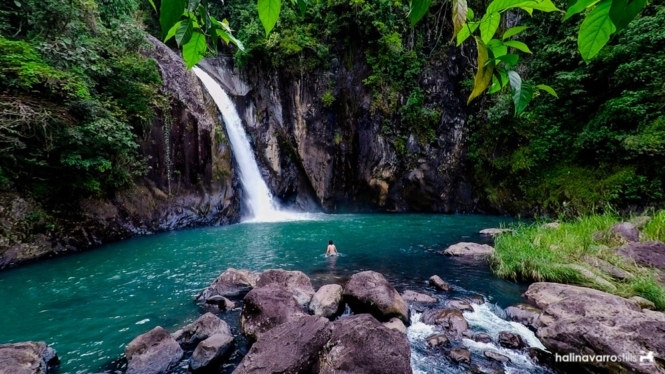 We’ll definitely try chasing waterfalls too when we find ourselves in Biliran.